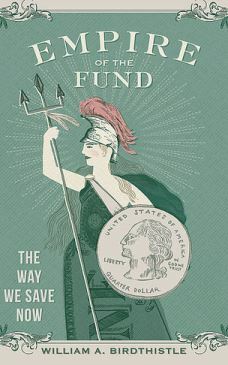 Chicago-Kent Professor William A. Birdthistle and a panel of experts will discuss his new book, Empire of the Fund: The Way We Save Now. Empire of the Fund is an exposé of the way we save now, with proposals to fix it. The United States has embarked upon the riskiest experiment in our financial history: to see whether millions of ordinary, untrained citizens can successfully manage trillions of dollars in a system dominated by skilled and powerful financial institutions. The program will be followed by a reception and book signing. Books will be available for purchase through the Chicago-Kent bookstore. Gail Marks Jarvis, personal finance columnist for the Chicago Tribune.